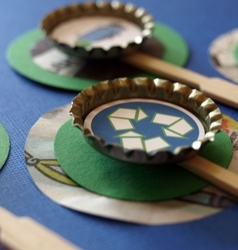 Carry your garbage theme through with these trash-themed cupcake toppers. Single-sided design in green and blue with bottle cap and recycled newspaper elements. Cute in dirt cups too!